Running a business is an experience of a lifetime. It’s a creative experience, it’s an intellectual experience, and it’s an exhilarating endurance experience. 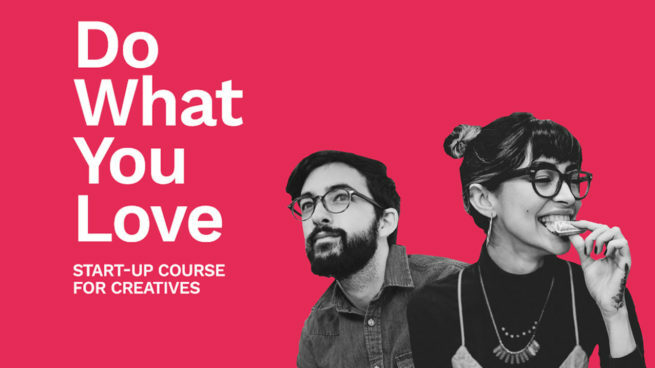 If you are thinking of turning your creativity and your passion into your life’s work then this Start-up Course for Creatives is for you. The course takes place over three Saturday mornings. This course is held in partnership with the Gloucester Culture Trust, and is tailored especially for creative professionals. Got a genius idea but don’t know how to take it to the next level? Using creative techniques we will help you clarify your idea and identify your ideal customer. You will start your market research journey and explore innovative ways to test your idea. Business Model You – reinvent yourself and your career using a visual one-page tool to reveal new, more satisfying, career and life possibilities. Plus case studies and guest speakers. Explore visual storytelling to help you to clarify your vision, represent it visually, and tell your story more authentically and effectively for your social media.Build your confidence, your pitch and create an effective action plan to take your ideas to the next level. You’ll have the opportunity to meet and work with like-minded creative entrepreneurs, and by the end of the course, you’ll have developed clear next steps for taking your ideas forward and making it happen! Betsy Benn. Betsy is the director and creative force behind Betsy Benn Ltd, a design studio in Cheltenham creating art prints and bespoke gifts. 2019 will see the studios throw their doors open to create a co-working space for fellow makers and designers. Ruth Davey. Ruth is the Director of Look Again who enjoys helping others connect, look again, and see the world with fresh eyes, using photography, mindfulness, nature and visual storytelling. Caroline Fedash, who is network manager for Create Gloucestershire and a graphic designer. The venue for this course will be located in the Sabrina 5 at Gloucester Quays – a beautifully renovated dry boat, and part of the National Historic Fleet. Light refreshments will be provided at each session, but not lunch. You are welcome to bring your own lunch or will have the opportunity to purchase lunch from nearby. Start-up Weekends are offered by Start and Grow Enterprise, a University of Gloucestershire project with funding from the European Regional Development Fund (ERDF). Start and Grow Enterprise supports the growth of Gloucestershire-based entrepreneurs and start-ups (trading up to 3 years) through free training, events, networks and resources. The series is being run in partnership with Gloucester Culture Trust and Make It Studios Stroud.